Working from the ground up, PES Productions have strived to rework every element of play, creating a fresh and energetic new standard for football titles. In addition to noticeably improved graphics and seamless animation, the thrust of the new system's power has been used to redefine the way football is played on a home system. 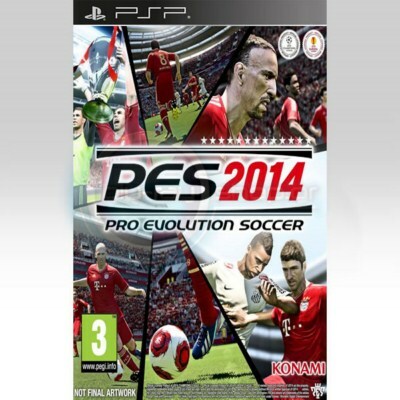 Gone are the limitations imposed by dated animation systems and AI elements, and instead PES 2014 boasts a central core that perfectly mimics the skill and awareness that elevates the world's greatest players above their peers. ;Six central tenets combine to establish PES 2014 as a new benchmark in football simulations, governing everything from the way the player receives and controls the ball, the physicality of play, and the 'feel' of match-day: the rush and euphoria or crushing lows that experiencing an important games can bring. As such, the key pillars on which PES 2014 is based are:;True B all Tech: For the first time in a football simulation, PES 2014 centres everything on the ball: how it moves, and how players use it. First touch and sublime control are what set certain players apart from others. The ability to not only read a pass, but to be one step ahead and to know what is needed to gain yards on an encroaching defender. TrueBall Tech allows the player to trap or knock on a pass using the analogue stick with detailed barycentric physics determining the weight shift of the player and the height and speed of the pass, as to how the player's body will automatically shape to receive it. ;Thus, the player has total control in determining how their body is angled to receive a pass, whereas previous football titles present the user with scant options. Instead, TrueBall Tech means that it can be chested or nodded past an opponent, flicked into space or to a team mate, while closer dribbling control is a much more personal attribute in the new game.